The cross country season is upon us and with it comes speculation on who may be the next big breakout star. Last year, it was the ever-popular New Yorker Katelyn Tuohy who took the country by storm, battling it out with Californian Claudia Lane for the top spot among the girls' ranks. 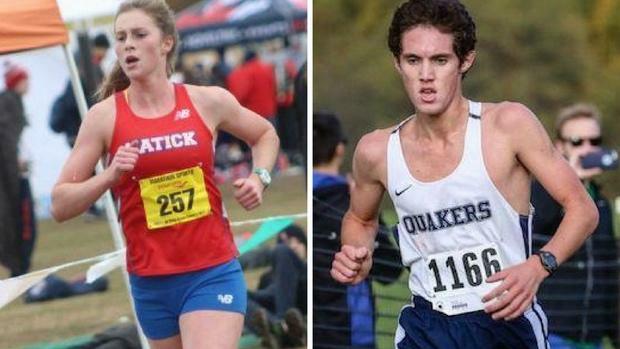 Both return for the 2018 cross country season, but who will join them at the top? As for the boys, graduation hit the national rankings hard and now underclassmen from last season will battle it out to claim the void that was left at the No. 1 position--both the NXN winner Aidan Troutner and Foot Locker Nationals winner Dylan Jacobs have graduated and moved on. Click through the slideshow to see which athletes are on the cusp of something truly special in 2018. Comment below with your thoughts on who else you think will be on the rise this fall!